Karen Pye-Smith (55), of Walkers Close, Bottesford, admitted driving with excess alcohol and without due care and attention on the A52 in Leicestershire on March 12. She had 88 microgrammes of alcohol in 100 millilitres of breath. The legal limit is 35mcg. She was given a 22 month ban which may be cut by 22 weeks if she completes a course. She was also fined £1,000, must pay a £100 victim surcharge and £85 costs. Jessica Palmer (21), of Windsor Street, Melton, admitted stealing meat and coffee from the town’s Co-op store on September 23. She was discharged conditionally for one year, must pay £35.96 compensation and a £15 victim surcharge. 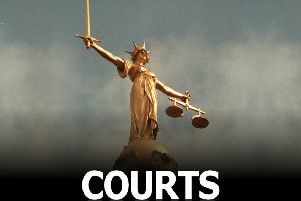 Daniella Smith (34), of Swan Close, Melton, admitted stealing from Morrisons on January 25. She was discharged conditionally for 18 months, must pay a £15 victim surcharge and £85 costs. James Nolan (18), of Oronsay Road, Leicester, admitted stealing meat products from Syston’s Co-op store on March 10, 11 and 15. He was given a one year community order and must pay £150 compensation, a £60 victim surcharge and £40 costs.